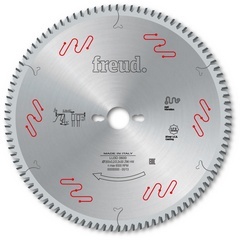 Saw blades to cut non-ferous metals. To size bilaminated panels and to cut solid drawn products and tubes. 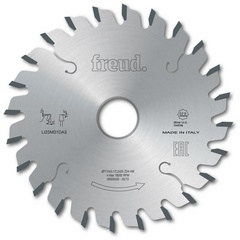 Features: Flat-triple chip tooth with negative cuting angle. Material: Bilaminated panels, aluminum and non-ferous metals.